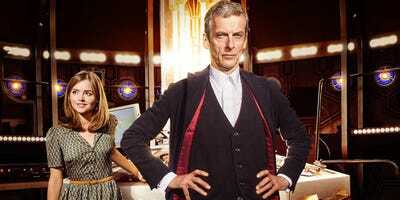 BBC‘Doctor Who’ is a must-watch for any sci-fi fan. 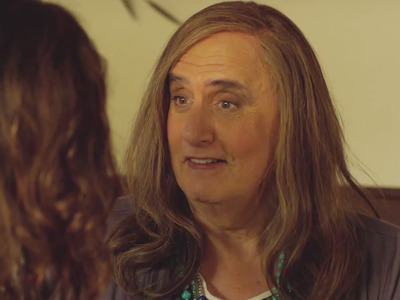 America’s Fall TV season is well underway. While a few new series are coming to air, a few have already received the axe. If you’re bored with the current crop of TV shows, we’ve picked ten of the best series from around the world that you really shouldn’t miss. Most are available to stream on Netflix, Hulu, or Amazon. What it's about: The dramedy follows a group of lower-class teenage felons who have been sentenced to community service. On their first day, they develop super powers after getting struck during an electrical storm. The series won Best Drama Series at the BAFTA Television Awards in 2010. What it's about: The dramedy follows twenty-something Josh Thomas as he comes to the realisation he's gay. Why you should watch: Gently navigating between touching and hilarious, the Australian series is quirky and refreshingly genuine. While it only reached small audiences in Australia, the series has been critically acclaimed in America with reviews referring to it as the 'best new TV comedy you've never heard of' and 'one of the year's best shows.' Millennial network 'Pivot' picked it up for at least another two seasons. 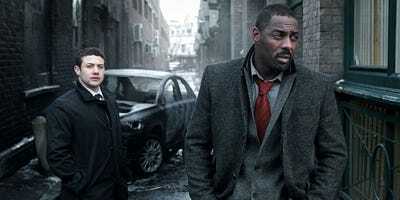 What it's about: Gritty, dark, and hauntingly cinematic, Luther follows the investigations of Detective Chief Inspector John Luther (Idris Elba). Why you should watch: The performance by Elba is enough reason to tune into the series. Luther is a blunt instrument consumed by his cases. His best friend for much of the series is a charmingly insane serial killer, Alice Morgan (Ruth Wilson), who he meets in the series' premiere. The series' pacing and cinematography knows when to let periods of horror breathe without interruption. What it's about: The comedy is essentially Britain's predecessor to 'Veep.' The 30-minute show is a giant satire on how the British government works. The comedy consists of often improvised performances from a host of UK actors. Why you should watch: If you like 'Veep,' then you'll love 'The Thick of It' since it comes from the same creator, Armando Iannucci, and includes many of the same writers. 'Thick of It' features more swearing than the HBO series and some uniquely cringeworthy laughs. 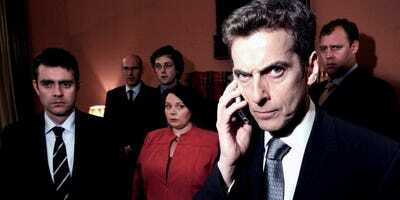 Peter Capaldi, who plays the Prime Minister's Scottish enforcer, Malcolm Tucker, gets away with some of the most obscene insults on television. What it's about: Borgen follows Birgitte Nyborg as she unexpectedly becomes the first female Prime Minister of Denmark. Why you should watch: While it may not be as dark as 'House of Cards' or as righteous as 'The West Wing,' 'Borgen' does paint a more realistic picture of the personal sacrifices politicians make and the political tradeoffs they encounter. Both Salon and the New York Times have written extremely positive reviews of the series. If you'd like an antidote to the partisan, stymied hackary of Washington politics, 'Borgen' is for you. What it's about: The series, which translates to 'The Returned,' follows life in a small French mountain town as the dead start to come back to life, not as zombies, but as people remembered them before they passed. If that sounds familiar, it's because the series' premise is similar to ABC's newer show 'Resurrection.' The latter is based on a 2013 novel, 'The Returned,' which has no relation the the French show. Why you should watch: The series has met widespread critical acclaim winning an Emmy after its original run in 2012. Vulture has called the show both 'joyous and terrifying.' A second season has been commissioned for 2015. A&E has ordered its own adaptation of the series. What it's about: The sci-fi series follows the adventures of a humanoid alien, The Doctor, who travels through time and space in a time machine -- The TARDIS -- armed with nothing but a quick wit and a sonic screwdriver. 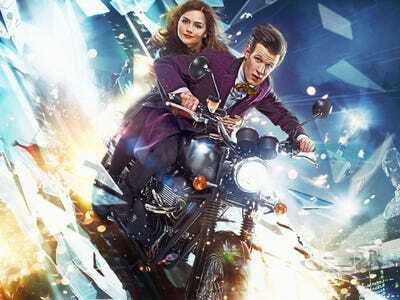 'Doctor Who' is one of the longest running TV shows. Created in 1963, the series was cancelled 33 years later, but then relaunched in 2005 for a new generation. To keep the series fresh, the Doctor is able to regenerate into a new body whenever he's killed, a twist which has paved the way for 13 different actors to play the lead role. Why you should watch: We won't lie, the sci-fi show can be a bit difficult to get into. Among the show's long list of characters are aliens and giant-tin robots called Cybermen. Sometimes, 'Doctor Who' gets downright weird; however, the show has gained a huge cult following since its return. That's partly because of the personality of the ever whimsical but haunted Doctor who abhors violence and guns but has a mysterious past of his own. The relationships between both the Doctor and companions which travel with him in space have also driven the show's success. Some of the series' best plotslines carry over the length of an entire season. It's fun to look for clues and hints to see how a season will come full circle. Peter Capaldi plays the latest incarnation of the Doctor. The show recently wrapped up its eighth season. Check out a trailer for the series here. What it's about: The British sitcom is a one-of-a-kind observational comedy about two friends, Mark and Jeremy, and their mediocre lives in South London. Why you should watch: The entire show is shot from the first person perspectives of the characters or bystanders. It's a gimmick which is odd at first, but pays off surprisingly well. Jealous, petty, and perpetually self-sabotaging, the uninhibited 'stream-of-conscious' voice-overs each character delivers are utterly priceless. 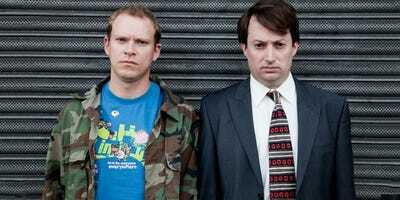 The timing and tone of of comedians David Mitchell and Robert Webb in the two lead roles is impeccable. The series' final season will air next year. What it's about: The miniseries is a contemporty re-imagining of Sherlock Holmes. 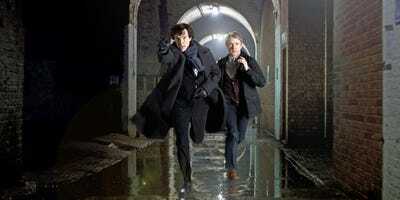 Why you should watch: The series comes from 'Doctor Who' writer Steven Moffat and has developed a wide cult following. Benedict Cumberbatch's wry wit as the famous detective is absolutely entrancing. It's like watching the dial on Jim Parson's Sheldon on 'The Big Bang Theory' turned up to the nth degree. The charisma between he and co-stars Martin Freeman (Watson) and Andrew Scott (Moriarty) are a must-watch. The series dominated this year's Emmys with both Freeman and Cumberbatch winning awards, as well as the series' writer. The BBC has announced that next year it will be filming a one-off special, as well as another three episodes. What it's about: Two detectives investigate the murder of a young boy in the small, closeknit town of Broadchurch after he is found dead on a beach. 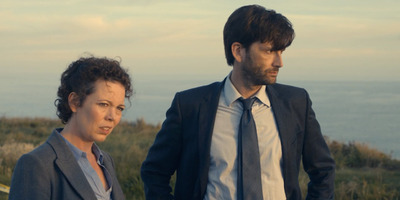 Why you should watch: The dynamic between fan favourite David Tennant ('Doctor Who') and Olivia Coleman alone is worth a watch. The show also has a big cast of British actors including Arthur Darvill ('Doctor Who') and David Bradley ('Harry Potter'). The 8-episode thriller ends on such a twist that we'd be surprised if you're not genuinely shocked. The series became so popular it inspired a Fox adaptation, 'Gracepoint,' this fall which is supposed to have a different ending. Despite bringing on original cast member Tennant, and original series creator Chris Chibnall as a writer, the 10-episode miniseries hasn't been a big rating's hit. We recommend the eight-episode original series.